Vegetables are good for our bodies but some particular vegetables top the charts when it comes to health benefits. Here are 10 of the healthiest vegetables on earth. Spinach may be one of the most popular greens as we use it in a variety of local dishes. It is essential for skin, hair, and bone health. It also provides protein, iron, vitamins, and minerals. The health benefits of eating spinach include improving blood glucose control in people with diabetes, lowering the risk of cancer, reducing blood pressure, improving bone health, and lowering the risk of developing asthma. Carrots aren’t just good for your eyes, they reduced cholesterol, lower risk of heart attacks, and help in the prevention of certain cancers. Carrots also have the ability to improve the skin, boost the immune system, improve digestion, protect cardiovascular health, detoxify the body, and boost oral health in a variety of ways. They also provide a well-rounded influx of vitamins and minerals. This popular vegetable has a wide variety of nutritional benefits, including its ability to prevent many types of cancer, improve our digestive system, lower cholesterol levels, detoxify the body, and maximise vitamin and mineral uptake. Broccoli also prevents allergic reactions, boosts the immune system, protects the skin, lowers blood pressure, eliminates inflammation, and improves vision and ocular health. Garlic adds the perfect flavour to certain dishes. It contains allicin, a vital chemical compound which is a wonderful therapeutic ingredient with many medicinal qualities. The health benefits of garlic are many. It helps fight heart ailments, cold, cough and lowers blood pressure. Brussels sprouts may not be popular but eating more of this low-calorie, nutritionally packed vegetable could add great benefits to your diet. One serving of Brussels sprouts meet the daily vitamin C and vitamin K requirements. Kale packs more nutritional value than spinach. The nutrients it contains support healthy skin, hair, and bones. The fibre content enhances digestion and contributes to cardiovascular health. Kale may help improve blood glucose control in diabetes, lower the risk of cancer, reduce blood pressure, and help prevent asthma development. One cup of cooked green peas contains nine grams of fibre, nine grams of protein and vitamins A, C and K, riboflavin, thiamin, niacin and folate. Because they are high in fibre, peas support digestive health by enhancing the beneficial bacteria in your gut and promoting regular bowel movement. 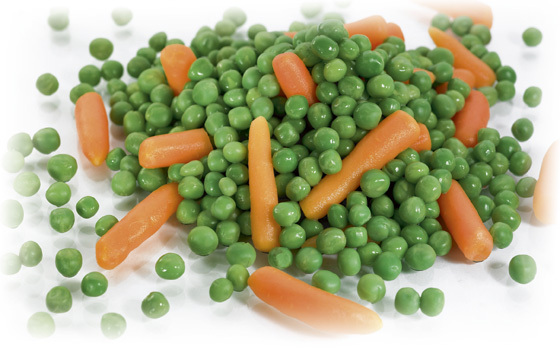 Peas are also rich in saponins, a group of plant compounds known for their anti-cancer effects. Swiss Chard has a long list of benefits. The green leafy vegetable has the ability to regulate blood sugar levels, improve digestion, boost the immune system, reduce fever and combat inflammation, lower blood pressure, prevent heart disease, increase bone strength and development, detoxify the body, and strengthen the functioning of the brain. Ginger is a very popular spice used in many kitchens. The health benefits include relieving nausea, loss of appetite, motion sickness, and pain. It also contains potent anti-inflammatory properties, which can be helpful in treating inflammation-related disorders like arthritis, lupus or gout. The benefits of asparagus range from cardiovascular health, healthy pregnancy, improved fertility, relief from pre-menstrual syndrome, and an improved bone health. It also helps to treat diabetes, hangover, cataract, rheumatism, tuberculosis, depression, neurodegenerative diseases, and convulsions.